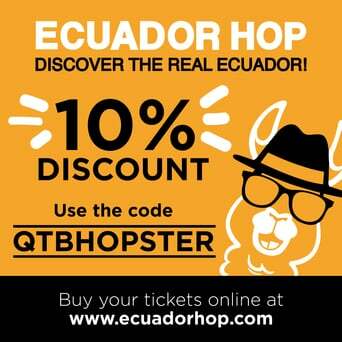 05 Feb What to do in Otavalo? 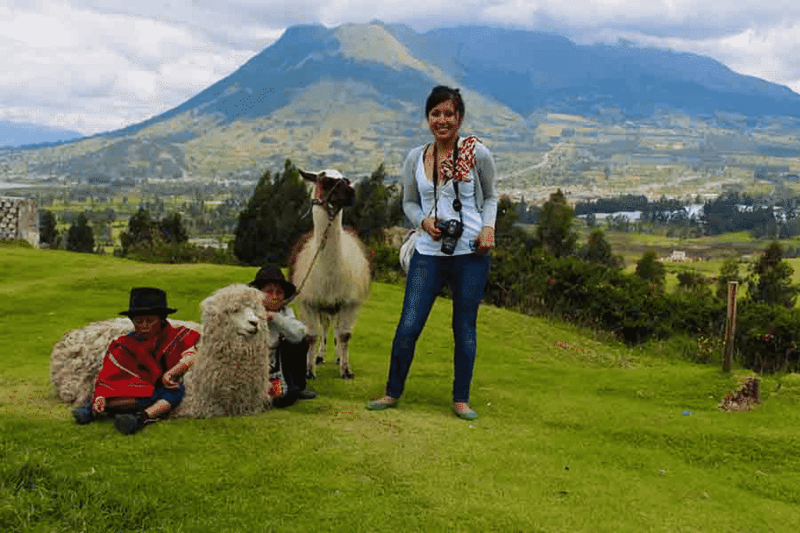 Otavalo is a province of Imbabura, and it is one of the mandatory tourist destinations when visiting Ecuador. This city is the place of origin of the Kichwa people of the Otavalos, therefore it has an unprecedented cultural, social, and historical richness. 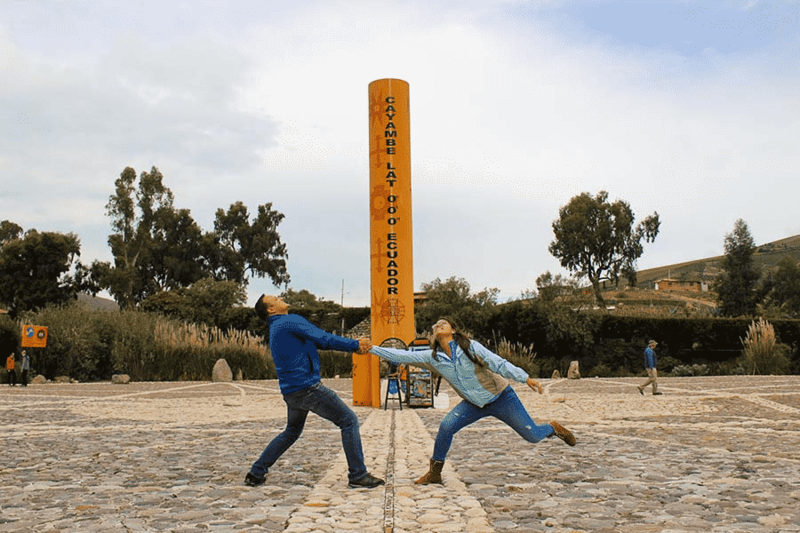 Since this city has to be visited, we want to introduce you to some activities to do in the city of Otavalo, and in some of the most renowned tourist destinations in the province of Imbabura. Our first stop will be Quitsato Solar Clock. This is the exact point where the Equatorial Line or Parallel Zero crosses. A specialized Bilingual Guide will explain you about this solar clock, and the large calendar of 54 metres of diameter. This solar clock is made of stone and indicates the different lines of the solstices and equinoxes and the hours of the day. Later, we will visit San Pablo Lake Lookout where you can enjoy a panoramic view of the largest lagoon in the province of Imbabura. The landscapes are simply spectacular, so they deserve to be seen. 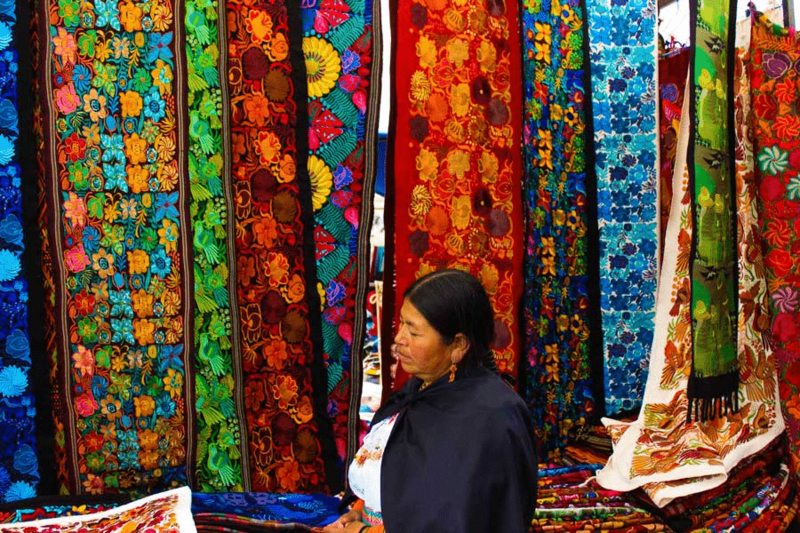 Next, we will move to the largest indigenous artisan market in South America, called “La Plaza de Ponchos”, which is located in the heart of Otavalo. “Plaza de Ponchos”, also known as Centenary Market, is the largest artisan market in the north of the country. This fair is held every day but its days of greatest concurrence are usually on Wednesdays and Saturdays. Walk through the streets of this unique market, there you will find hundreds of different types of crafts, and the famous textiles. 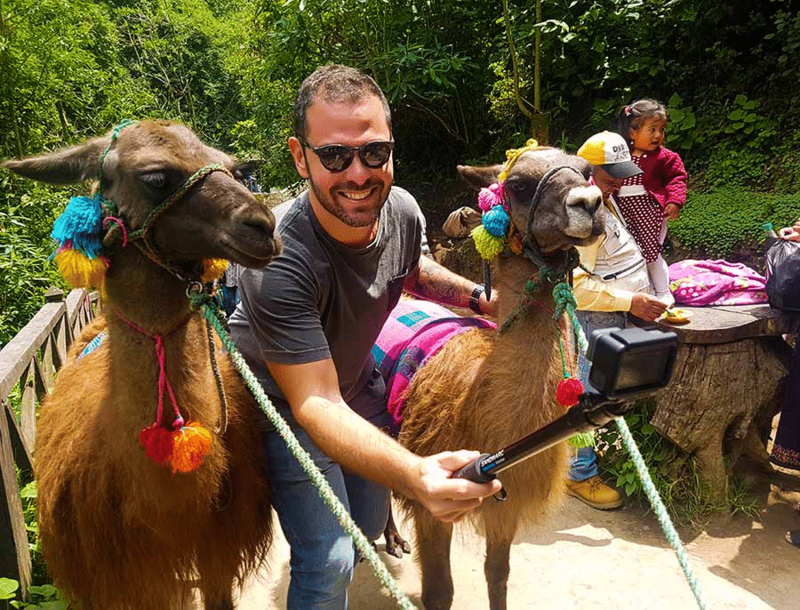 In addition, you will have time to have lunch and enjoy the gastronomic delights that the province of Imbabura has to offer. Do not forget to try the toasted corn nuts, the “red meat” or the incomparable guinea pig with potatoes. 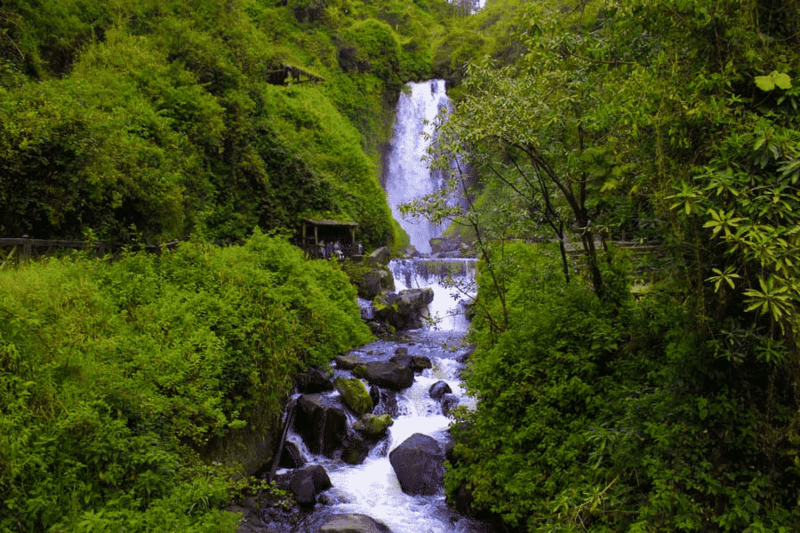 Our next point in the itinerary is the beautiful, sacred, and vital Peguche waterfall which is located at 3.3 km from the city of Otavalo. This waterfall is 30 meters high, and it is surrounded by lush vegetation. At Inti Raymi celebrations, Peguche’s waterfall is the indigenous ceremonial center for the purification ritual. 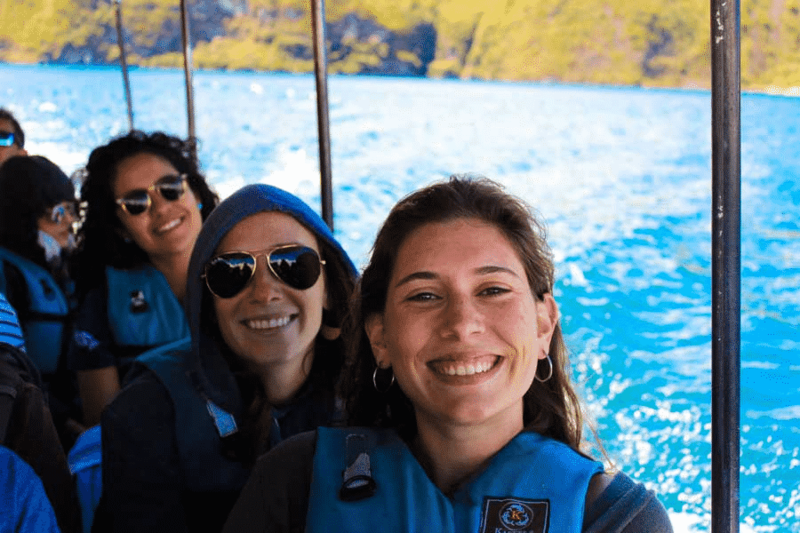 As the last activity of our tour, it is contemplated to make a boat ride in the mythological Cuicocha Lagoon (depending on availability). Cuicocha Lagoon, also known as “God’s Lake”, is located at 3,064 metres above sea level, and only 12 km from Cotacachi. This lagoon is located in Cotacachi – Cayapas Ecological Reserve, and it is the result of the eruption of Cotacachi Volcano. This event occurred approximately 3,000 years ago. In the center of this lagoon which is inside of the crater of the volcano, there are two small islands whose names are Theodore Wolf and José María Yerovi, which are separated by a water channel, called “Chanel of dreams”. You can not miss this experience, you will surely love it.